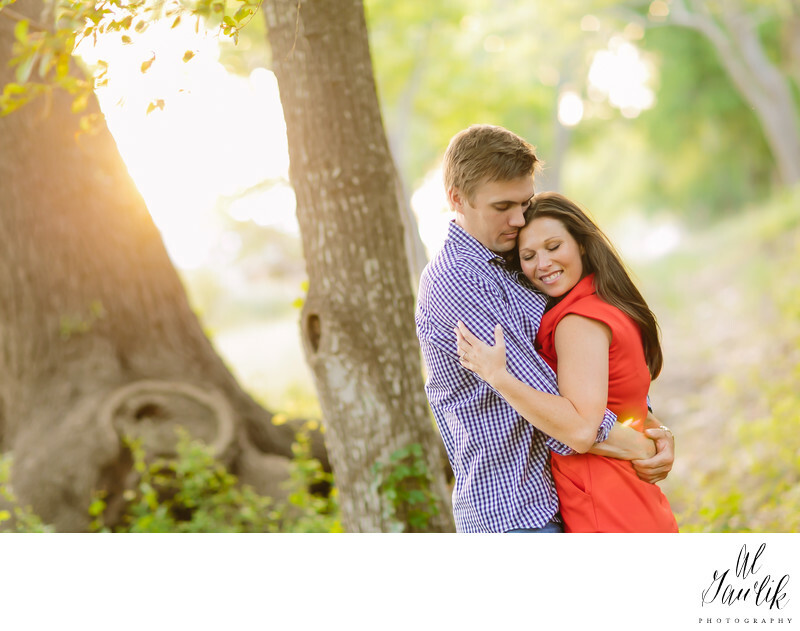 Truly happy embrace in the sun just moments after their engagement. Gosh this is a happy portrait by AL Gawlik Photography. The trees and the angles work so well in this picture.